From N.A.S.A. to nature and science centers ... school assemblies to parks and recreation facilities, Dr. Insecta has enthralled audiences of all ages across America! Experience real entomology magic as Dr. Insecta introduces your audience to some of the largest live insects on the planet. Bug Lab is an interactive enrichment program that entertains, educates and desensitizes fears we have about these incredible creatures that let us share in their world. Original Bug Lab: The ideal program for group sizes of 100 or less. A perfect fit for classrooms, summer camps, community rooms, day cares, etc. Requires minimal space and set-up time. Live insects, interactive and very "ED-FUN-CATIONAL!" 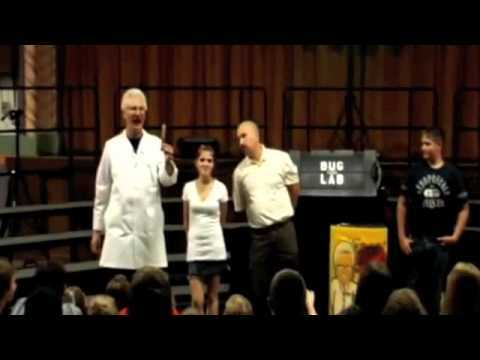 Bug Lab II: Perfect for audiences of 200 plus. Optional giant "Bug-A-Tron" video screen available. Enlarges our insects that even the back row can see. Audience participation. Live insects and "Bug Facts" galore! Dr. Insecta can bring his Dome-A-Rama! In the future, exotic insects from around the world will be exhibited under gleaming acrylic domes, perched upon stainless steel pedestals, Each dome will contain live specimens with terrain to mimic their natural habitat. Above each hemisphere is suspended "Fact Flags" describing the particular specimen housed within. Dr. Insecta will be present to oversee, answer questions, and let curious attendees interact with these incredible creatures. The Insect Dome-A-Rama is perfect to build traffic, while providing an exciting and interactive educational experience that requires minimal space with simple and quick set-up time. Also available Is Dr. Insecta's Spider Stroll! From fairs and festivals to earth day events, science centers and park and recreation programs; Dr. Insecta's Spider Stroll is the ultimate attention grabber. Devious in its simplicity, Dr. Incecta nonchalantly mingles throughout your gathering with 3 to 5 of the largest arachnids in the world clinging to his lab coat.Dr. Insecta presents a running dialog of fascinating facts about these gental giants and yes, your attendees may hold our specimens. Need we say this is a great photo opportunity for your newsletter and web page. Looking for the elusive element of "something different?" Dr. Insecta's Spider Stroll is the ultimate eight-legged entertainment! 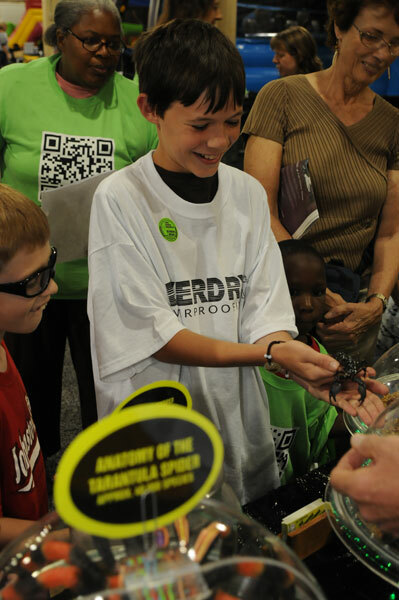 The Spider Stroll is perfect for fairs, festivals, parks, science centers, earth day events, and more! If you're looking for something perfect for the classroom, Dr. Insecta offers a master class where he discusses the proper care, feeding, and habitat construction of insects. This one hour plus, hands on workshop will encompass the proper care, feeding and habitat construction for maintaining healthy, happy insects. 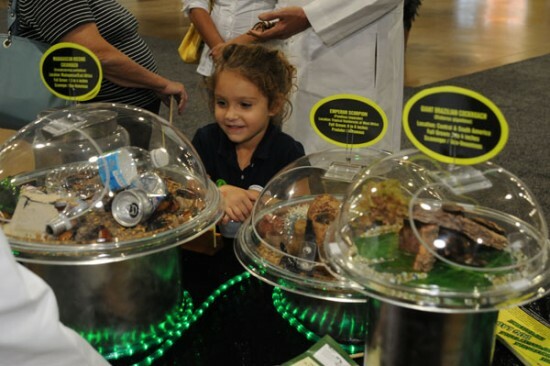 Every child will be able to build their own "ECO Bug House" from recycled materials that will be provided. Students will also be versed on the proper insects foods, safe capture and handling technics, water, light requirements, etc. 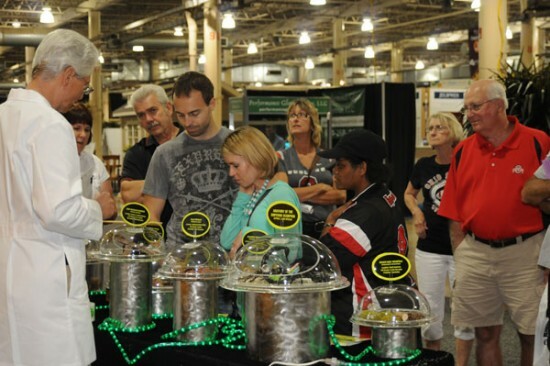 Attendees will have the opportunity to meet some of the stars of the increditble unforgettable Bug Lab experience including "Morticia" the tarantula, "Rhonda" the roach and "Darth Vader" the emperor scorpion. All graduates of Bug Lab "Master Class" will receive a certificate of completion suitable for framing.